My son had never watched Star Wars until my husband took him to the new Star Wars: The Force Awakens movie. He was instantly hooked! 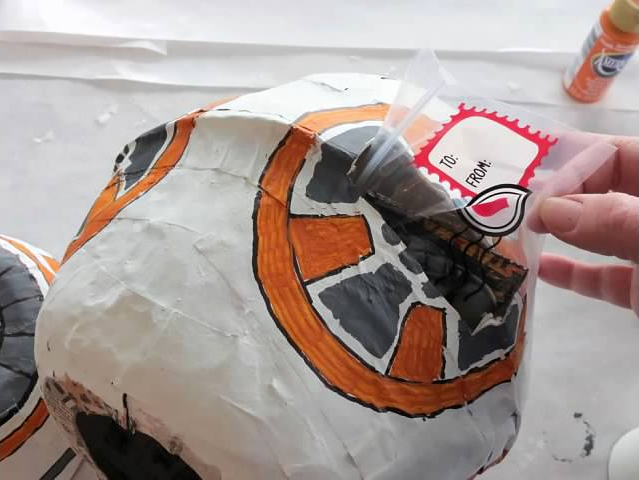 When he requested a Star Wars Valentine’s Day box I wasn’t surprised. At our small rural school kids get to create their own box at home and take for collecting Valentine’s at their class parties. 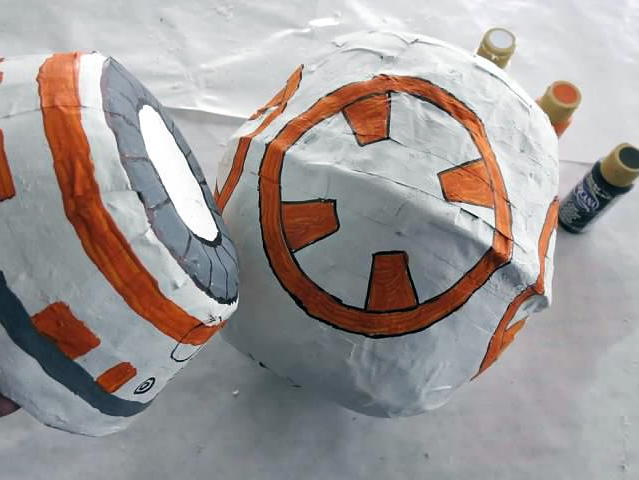 So, my son and his grandmama (my mom) set out to create their own diy Star Wars BB-8 Valentine’s Day box. It took a lot of trial and error but I think it came out amazing! Don’t forget your Star Wars Valentine’s to give to friends! 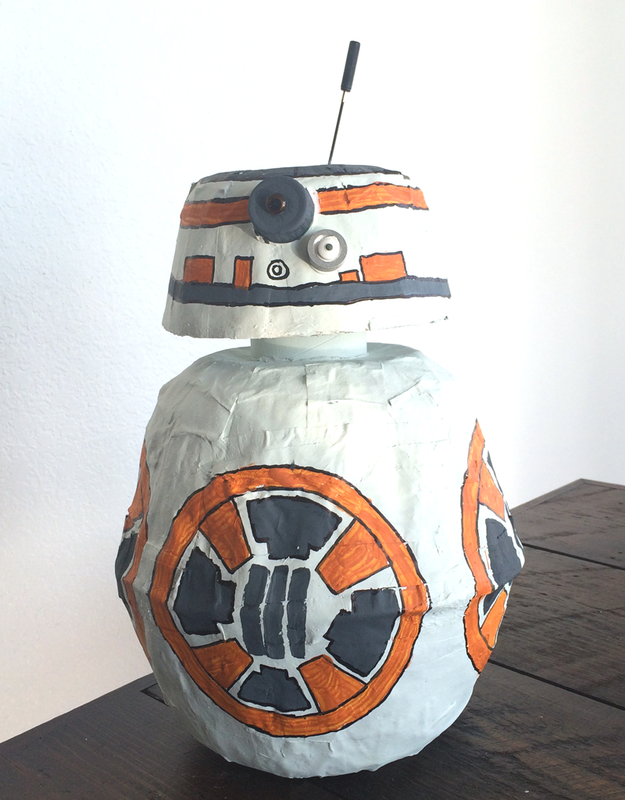 Or, if you’re not feeling too crafty you can get a Star Wars The Force Awakens Valentines Exchange Mailbox . 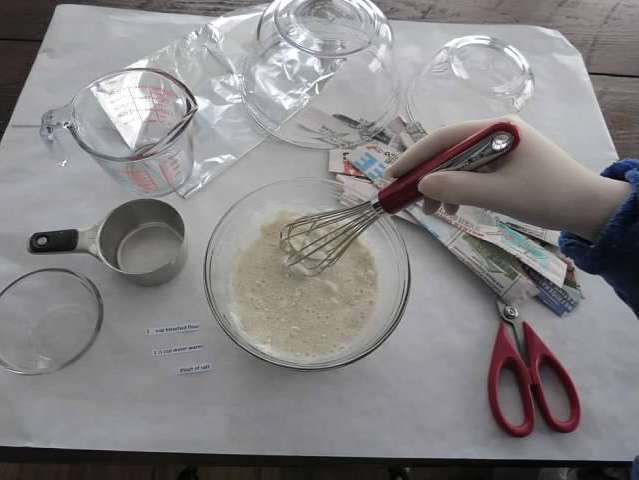 Mix with wire whisk until you get a thick consistency. Mix well to get rid of all the bumps. 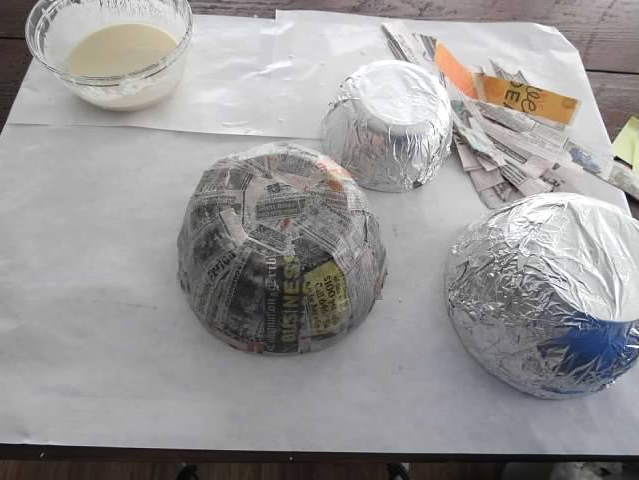 Cover your molds with aluminum foil. 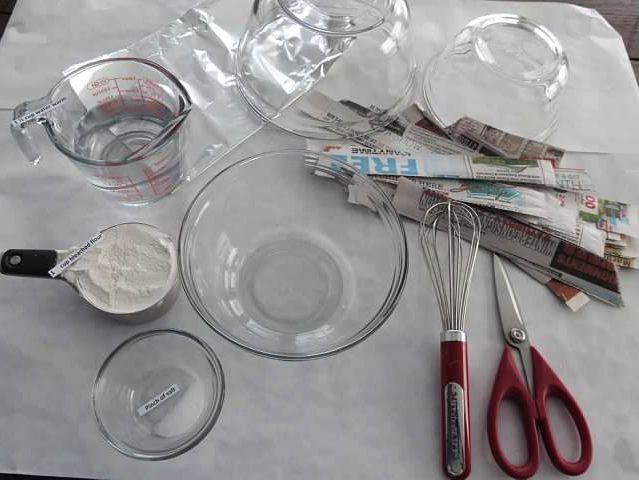 Dip paper strips into paste mixture and use your fingers to wipe excess off the strip. 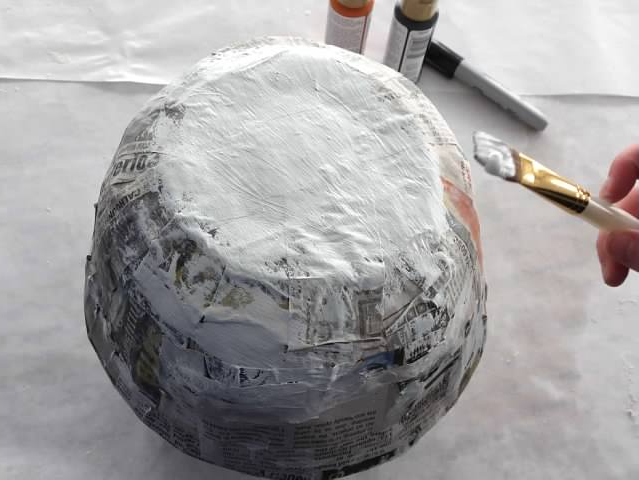 Place strip on the mold that has been covered in foil and sprayed with cooking oil so it won’t stick. 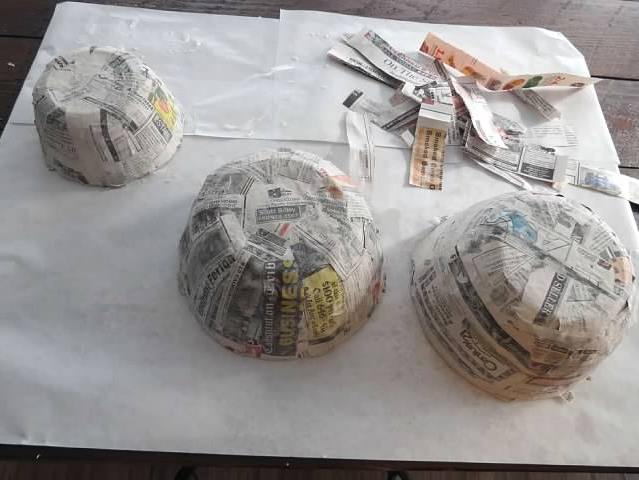 After applying approximately three layers or more let it dry for 24 hours. 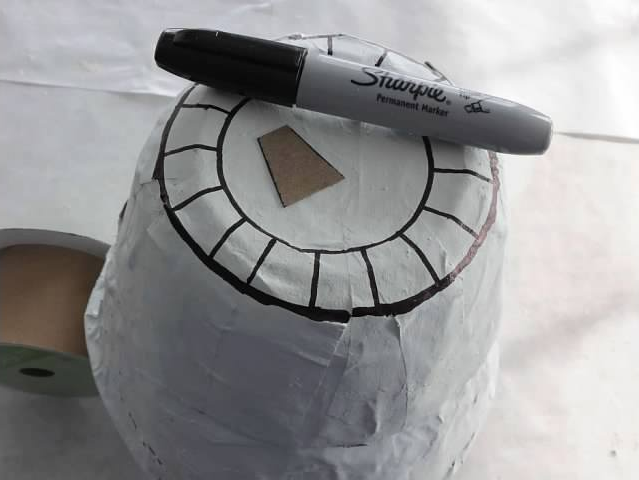 Use sharpie or paint to make outlines from templates. 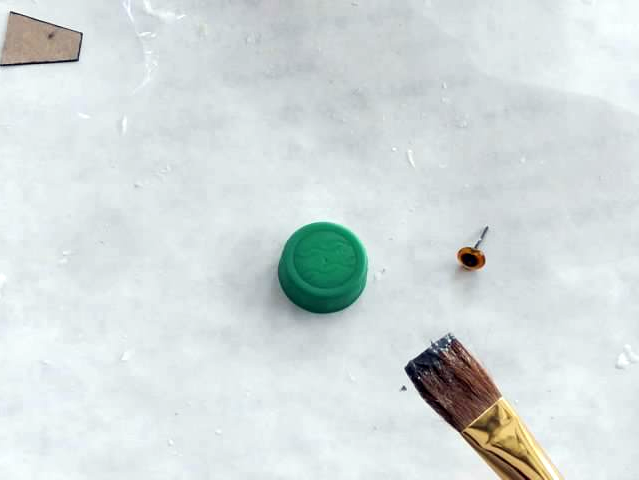 Paint your project. 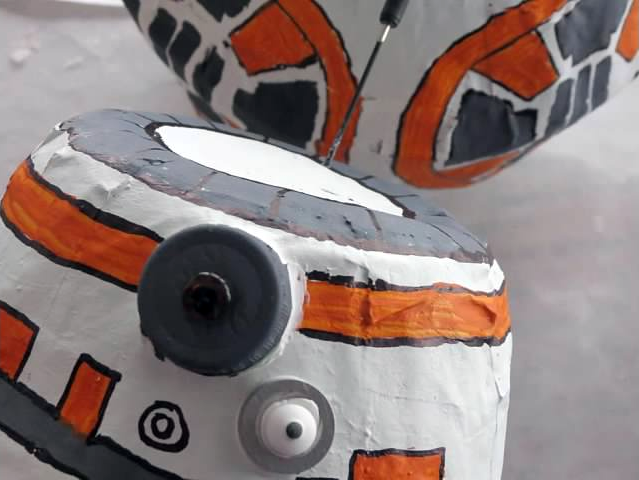 Use an image online of BB-8 to base your painting off of. 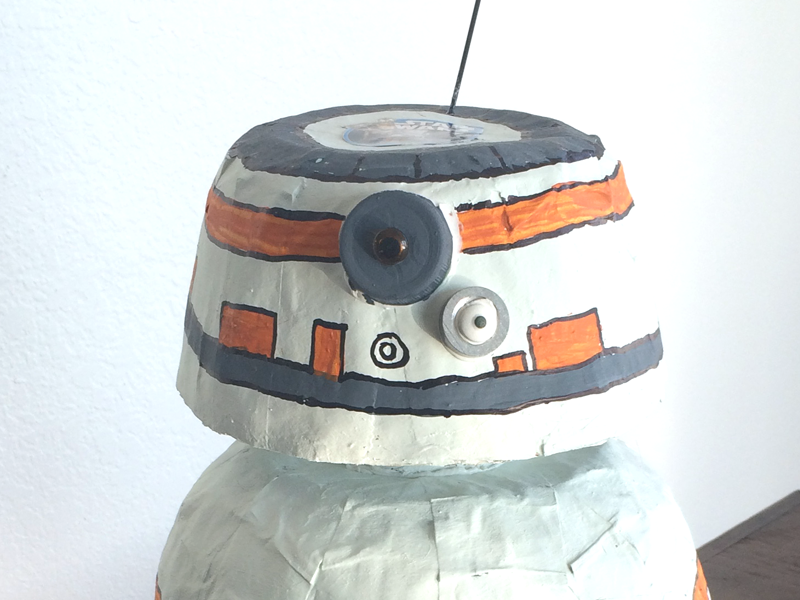 Add eyes and old cell phone antenna with glue. Cut a slot in the back to insert Valentines. Cut a hole in bottom to retrieve Valentines ( you can also sit the finished project on a cardboard to carry and keep Valentines from falling out). Oh la la have fun! Does your child make their own Valentine’s Day box for school? Comment below and share what they are making this Valentine’s Day! Okay, this is so cool! They did an amazing job! Thanks for the tutorial- I’m not sure I would even know where to start making this! I think kids will just go crazy over this!